Are y’all as ready for spring as I am? If you’re like me, it can’t get here quick enough! 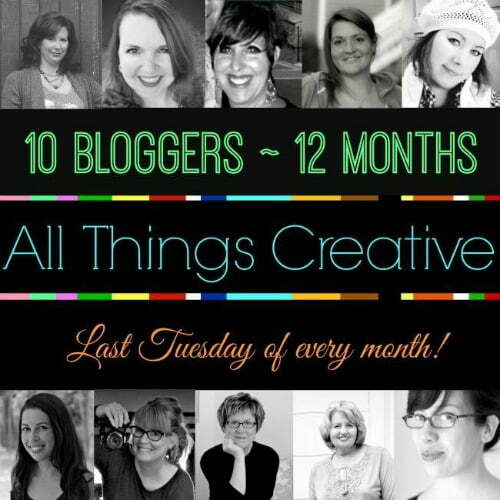 And luckily, it’s that time of month when the All Things Creative Team puts together a roundup of their best ideas about a particular topic. So welcome to the second edition of ALL THINGS SPRING! So if you’re stuck in the winter doldrums, below you will find lots of inspiration for putting a little spring in your life even if the weather isn’t cooperating. As I’m writing this, we are expecting some snow and ice here in South Carolina after record breaking low temperatures last week. It was so cold here that we had some frozen pipes for a few hours with one pipe bursting in our well house. Geez, we just aren’t used to this! And my sincere sympathies are with all those folks in the Northeast who are still digging out from all the snow. In the meantime, I’m thinking spring along with my team members. Let me introduce you to this creative bunch of lovely ladies. They are from left to right and top to bottom: Domestically Speaking, A Little Claireification, Debbiedoo’s, The DIY Village, Creative Cain Cabin, The Happier Homemaker, Redhead Can Decorate, On Sutton Place, me, and Tried & True. I hope you have a chance to visit with all of them today, and if you don’t, just pin the graphic above so that you can get back to the party! 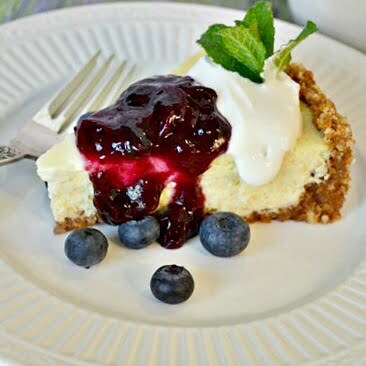 When I was looking back in our archives, I found the recipe for this Easy Lemon Cheesecake with Blueberry Topping. It’s the perfect springtime dessert. I’m looking for a little mantel inspiration myself since I just took down the Valentine’s Day decorations today. 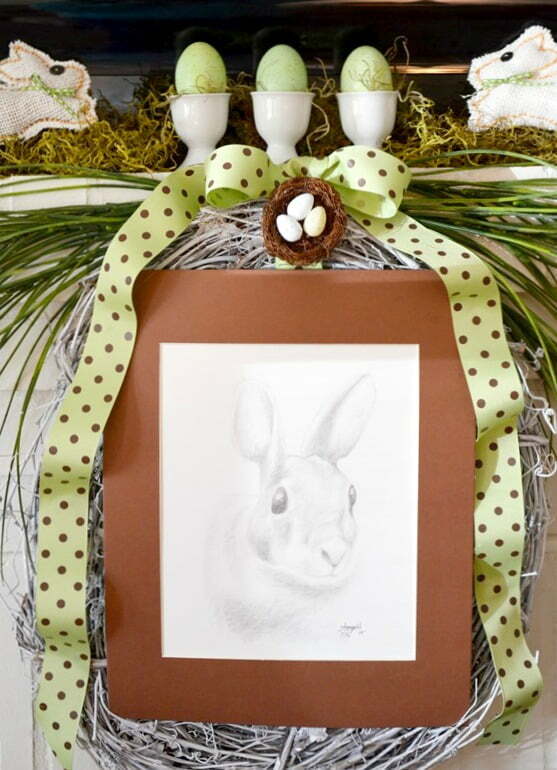 So here’s a look back at last year’s Spring Mantel 2014. And here’s an oldie but goody! Way back in 2011 I created this Spring Succulent Centerpiece. 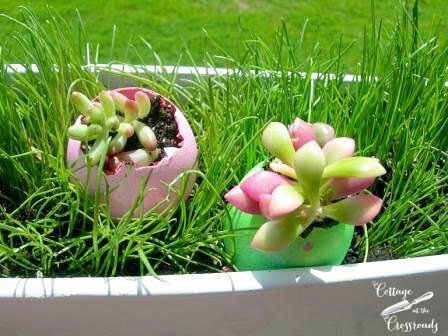 If you can get past the bad photos, it still is a cute idea for spring with the real grass and everything! 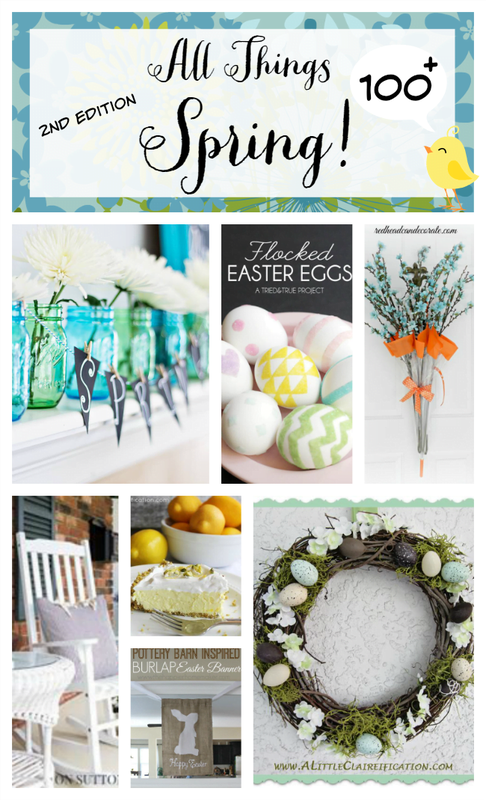 These are just some of the posts that I linked up to the second edition of All Things Spring. Go grab a cup of coffee or your favorite beverage and warm up to some spring ideas! It’s all about that spring….”bout that spring….’bout that spring…………..not the winter! « Ruffled Stool Cover in the Shop! Yes, I am so ready for spring and green grass and trees. So tired of looking at gray and right now some white with more coming tomorrow.